Whether you're looking for the perfect investment or second home for your family to enjoy, this is the perfect unit! 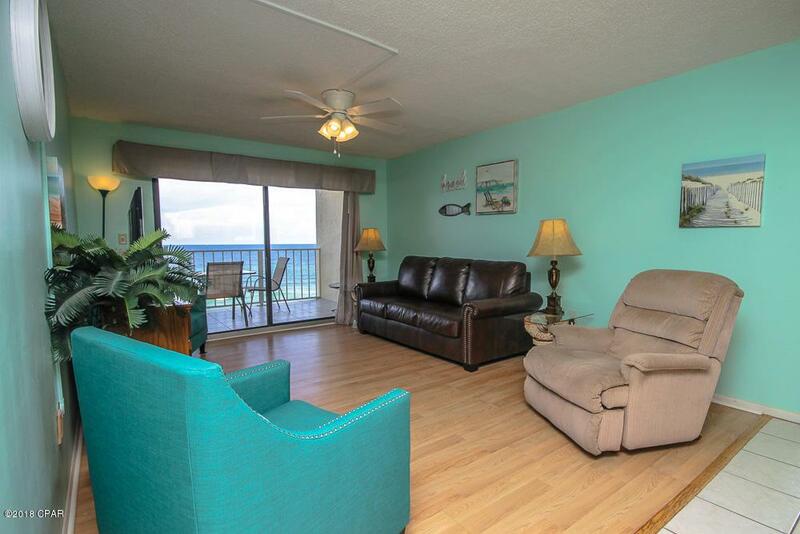 Enjoy beautiful views of the gulf from this 6th floor unit at Regency Towers. This unit is a must see! Wake up to the sound of the waves crashing in your spacious Gulf Front master bedroom with private access to the balcony that overlooks both pools and the Gulf of Mexico. This unit boasts tile and laminate flooring and new vanities in the bathrooms. Amenities include 2 pools, kiddie pool, hot tub, exercise room, game room, tennis court, gated community and a community room. All information is believed to be correct but should be verified by the Buyer.